The stone is not a newfound discovery. 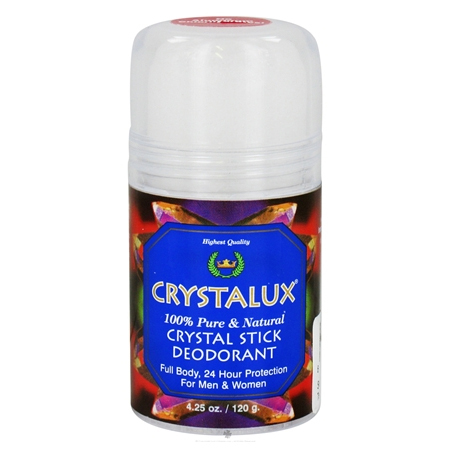 For centuries, this natural crystal has provided people with protection from bacteria, which can cause unpleasant body odors. 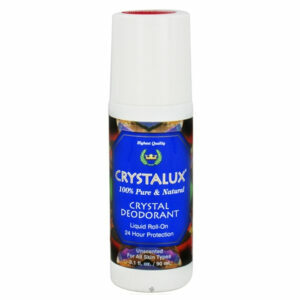 It is 300% more effective than commercial deodorants; and 100% pure and natural. 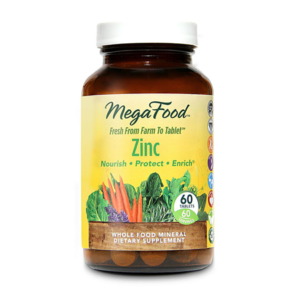 It contains no harsh chemicals, perfumes, oils, emulsifiers, alcohol, or propellants. It is not sticky or greasy. It will not stain clothing, irritate skin, or leak in your suitcase. 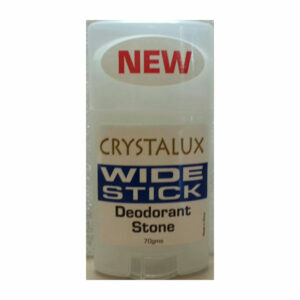 Best of all, Crystalux Crystal Stick Deodorant WORKS! 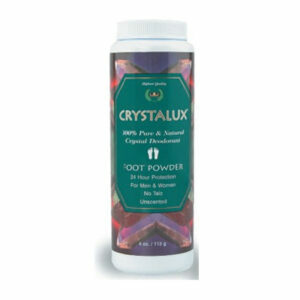 Active Ingredients: Potassium sulfate and other mineral salts.